Sophie S. Levitt, 92, of Melrose Park, died Oct. 22. 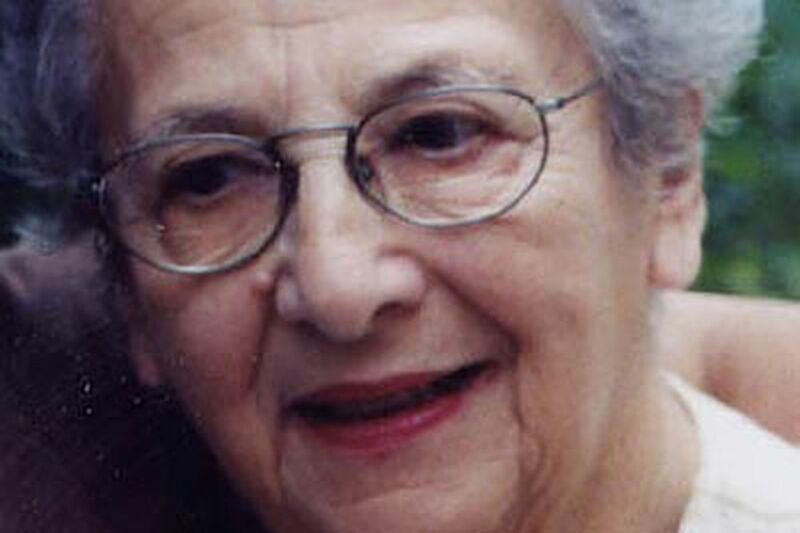 Sophie Shtendel Levitt, 92, of Melrose Park, a nutrition counselor and educator who taught at Gwynedd Mercy College for 28 years, died Saturday, Oct. 22, at home. Mrs. Levitt was born in Novograd-Volynsky, Russia. Her father died of typhus when she was an infant. Several months later, in 1920, she and her mother immigrated to the United States. Mrs. Levitt grew up in North Carolina, New York City, and Philadelphia. In 1940, she earned a bachelor's degree in home economics from what is now Drexel University, where she met her future husband, Semond Levitt. She earned a master's degree in nutrition education from Drexel in 1951. During her long career, Mrs. Levitt established a therapeutic nutrition department at Pennsylvania Hospital and taught nutrition to nurses at Jefferson University Hospital, Mercy Fitzgerald Hospital, and the Hospital of the University of Pennsylvania, among others. She was also a nutrition counselor at several nursing homes. In 1960, she began teaching at Gwynedd Mercy, a Catholic college administered by the Sisters of Mercy. Faculty meetings, with many nuns in attendance, always began with a prayer. At one meeting, Mrs. Levitt, who was Jewish, was asked to say the prayer. The faculty liked what she said so much she was always asked to give the prayer after that, her daughter Jo Ann said. Mrs. Levitt retired from the college in 1988. She and her husband bought art on their travels all over the world and amassed an eclectic collection that included yarn paintings from Mexico and paintings by French expressionist Louis Amalvy. They especially liked to support young artists, their daughter said. In addition to her daughter, Mrs. Levitt is survived by another daughter, Marjory; a son, Joel; and three grandchildren. Her husband of 57 years died in 1998. The funeral was Tuesday, Oct. 25, at Goldsteins' Rosenberg's Raphael-Sacks Memorial Chapel in Philadelphia. Burial was in Shalom Memorial Park, Huntingdon Valley.